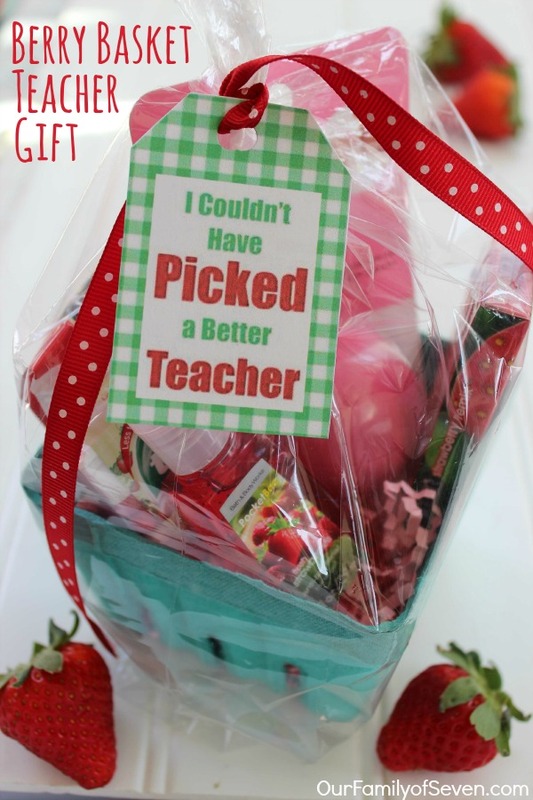 This adorable Berry Basket Teacher gift with the printable label attached is going to make for a berry special homemade gift for your kiddos teachers. 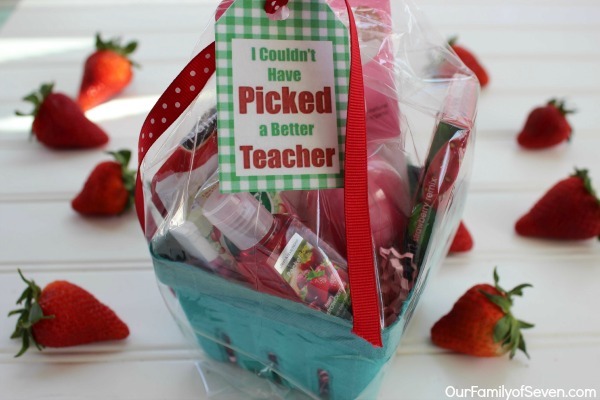 It’s almost time to start thinking about teacher appreciation gifts for your kids’ teachers. The end of the school year will be here before we know it. Days will be filled with swimming, summer bbq’s, and trips to the park. 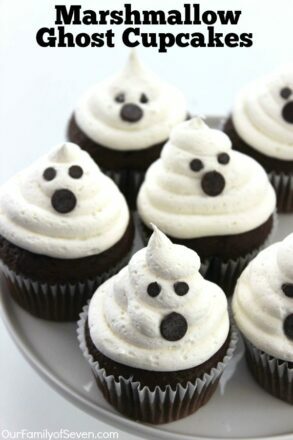 I am so excited just thinking about it. I am one of those moms that really looks forward to summer break. I enjoy having my kiddos with me during the day enjoying the sunshine. I will admit by the end of summer when they begin the “Mom, I’m bored” stage, I am ready for them to head back. 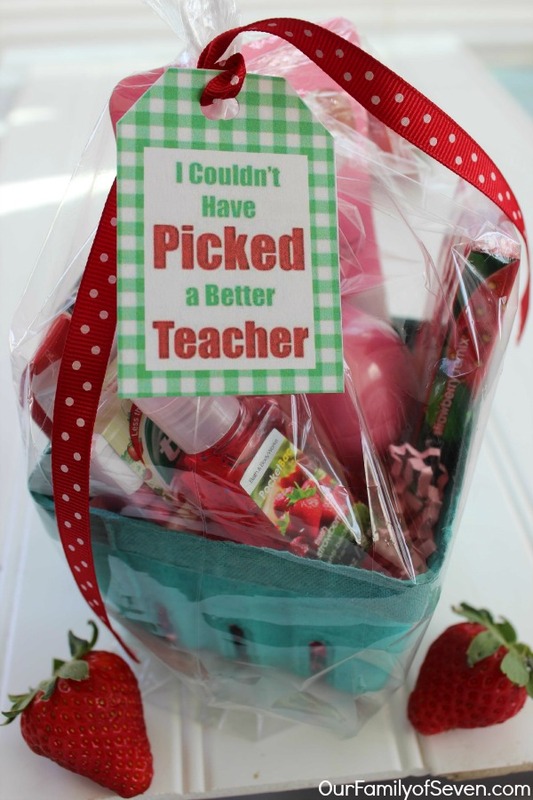 Every year, I try to come up with small inexpensive gifts to have the kiddos give to their favorite teachers. If we start spending too much, it can really add up. I never want them to feel as though they are giving something too cheap but I also do not like spending a fortune. We like to make the teacher gifts unique and somewhat personal. I always suggest the kids gift items we know the teacher will use or display in their classrooms. 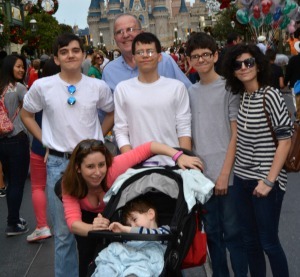 We have decided on a few gifts already and started putting them together this past weekend. I recalled having picked up a batch of berry baskets with a coupon at Hobby Lobby for some of my food props. You can get like 10 of them for less than $10. Plus we had some leftover pink Easter grass. I tossed some in a berry basket and we headed out to the store to do some strawberry shopping. 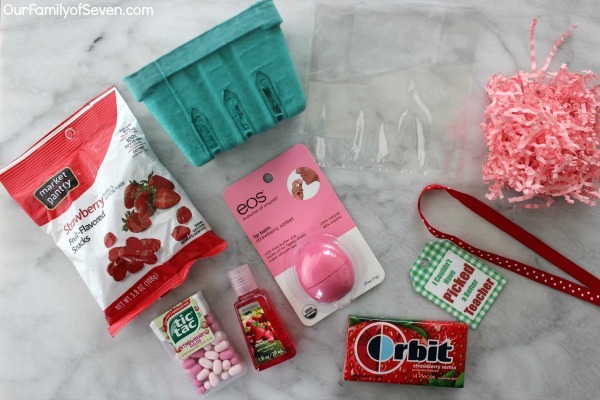 We purchased a few strawberry scented items like strawberry EOS lip balm and some strawberry hand sanitizer. Then we spotted some strawberry flavored fruit snacks, gum, and Tic Tacs. Damien was anxious to find more strawberry items but I knew the basket was not large and would fill up quickly. We placed our of items in the basket and used a celar cellophane favor bag (I always keep them on hand for projects), tied on a ribbon and then printed off a cute tag that Cierra made for us. 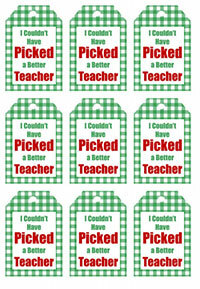 If you are considering making this project for your kiddos teachers you can print the “I couldn’t have picked a Better Teacher” tag here for FREE. I uploaded it so I could share with all of you. 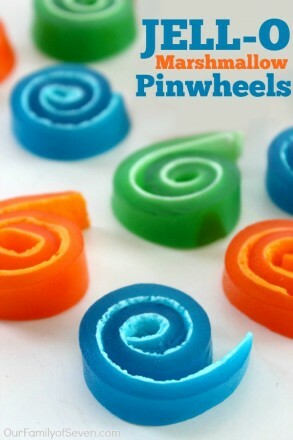 Do you purchase pre-made gifts for your kids teachers or do you make homemade gifts like we do?